Fangirls, the other day I took the most magical bath I’ve ever had, and it was all thanks to Lush! I ordered they’re beautiful Unicorn Horn bath bomb, and was so pleased! Emily Althea: part time princess, part time unicorn. Unicorn Horn is another of Lush’s Valentine Line of bath products. 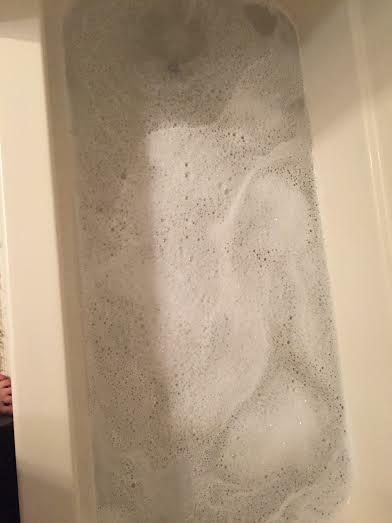 I was really excited to order it, because I got to pretend I was a unicorn for a bit, but once I saw the bubbles, I realized that it was going to be the most princessy of my baths ever. I’ve been trying to spend less money, and am learning that using my bath bombs more wisely and slowly is a great way to do that. 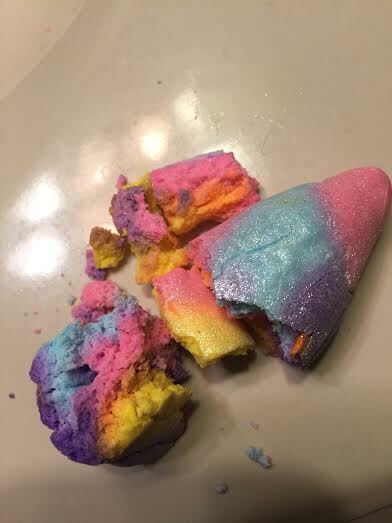 I broke maybe 1/3 of the Unicorn Horn off, and slowly crumbled it into my running bath. Just breaking it apart got a slight shimmer all over my hands, and I loved it. Once it was being crumbled into my bath, I saw some lovely little bubbles, and a very faint pink and purple tint showing up in my water. 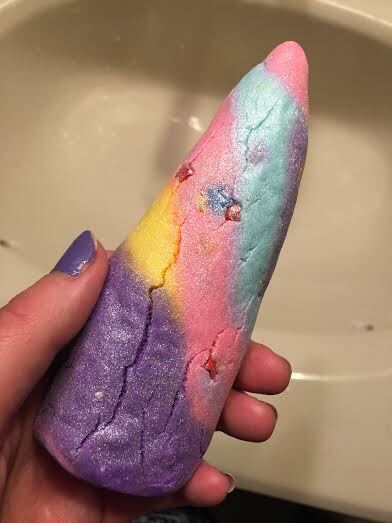 While I was breaking up the Unicorn Horn I noticed a bit of a scent coming off of it, but wasn’t sure of how strong it was. When I got into the tub, I felt immediately surrounded by lavender; it was strong, but not overwhelming. After the bath I felt soft and relaxed, and ready for bed (so much so that I fell asleep within 10 minutes of getting under the covers). I’m always worried about a bath ruining my skin; drying it out and making my skin even thirstier than it usually is in the winter. I have never had that problem with any of my Lush products. The products are a bit expensive, but they can be broken up into smaller pieces, and be used for more than one bath, which I’m glad to have found out. 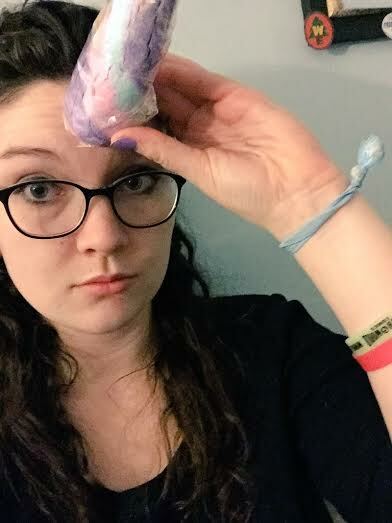 Fangirls, if you’ve got the money, go grab yourself a Unicorn Horn (they’re $7.95, but can be used for at least 3 baths) bath bomb from Lush; your baths will be fit for a princess, and make you nice and sleepy for bed.